LOS ANGELES — It was a feast for the raunchy animated comedy "Sausage Party" at the box office this weekend. 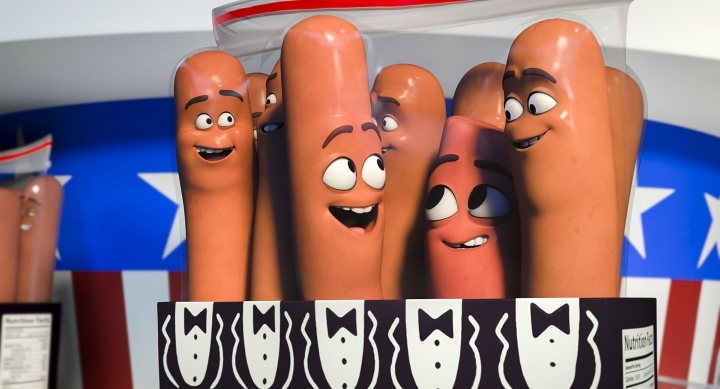 The R-rated pic about anthropomorphized hot dogs and other grocery store foodstuffs earned $34.3 million out of the gate against a modest $19 million budget. "Sausage Party" still came in second to "Suicide Squad," which held on to the top spot again with $43.5 million in weekend two. The Warner Bros. and DC Comics film has grossed $222.6 million to date. In third place, Disney's remake of "Pete's Dragon" stayed earthbound with only $21.5 million. The CG and live-action hybrid cost an estimated $65 million to produce. Holdovers "Jason Bourne" and "Bad Moms" rounded out the top five with $13.8 million and $11.4 million, respectively. 1. 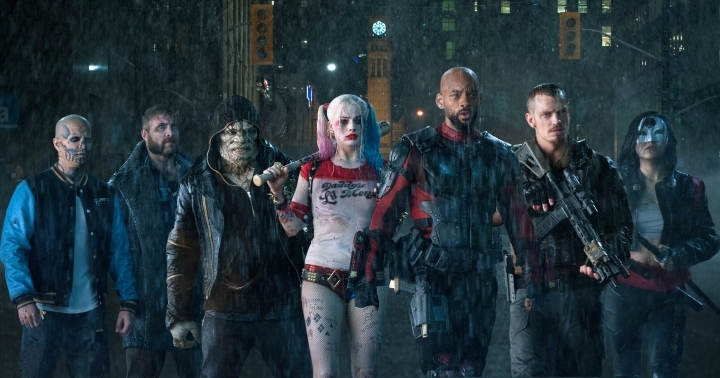 "Suicide Squad," Warner Bros., $43,536,013, 4,255 locations, $10,232 average, $222,640,741, 2 weeks. 2. "Sausage Party," Sony, $34,263,534, 3,103 locations, $11,042 average, $34,263,534, 1 week. 3. "Pete's Dragon," Disney, $21,514,095, 3,702 locations, $5,811 average, $21,514,095, 1 week. 4. "Jason Bourne," Universal, $13,846,875, 3,528 locations, $3,925 average, $127,009,220, 3 weeks. 5. "Bad Moms," STX Entertainment, $11,362,783, 3,188 locations, $3,564 average, $71,374,076, 3 weeks. 6. "The Secret Life Of Pets," Universal, $9,064,565, 2,958 locations, $3,064 average, $336,166,640, 6 weeks. 7. "Star Trek Beyond," Paramount, $6,892,793, 2,577 locations, $2,675 average, $139,772,742, 4 weeks. 8. "Florence Foster Jenkins," Paramount, $6,601,313, 1,528 locations, $4,320 average, $6,601,313, 1 week. 9. "Nine Lives," EuropaCorp, $3,526,166, 2,264 locations, $1,557 average, $13,576,991, 2 weeks. 10. "Lights Out," Warner Bros., $3,215,446, 1,652 locations, $1,946 average, $61,130,264, 4 weeks. 11. "Nerve," Lionsgate, $2,639,399, 1,777 locations, $1,485 average, $33,087,794, 3 weeks. 12. "Ghostbusters," Sony, $2,272,206, 1,437 locations, $1,581 average, $121,681,208, 5 weeks. 13. "Ice Age: Collision Course," 20th Century Fox, $2,053,831, 1,548 locations, $1,327 average, $58,727,102, 4 weeks. 14. "Finding Dory," Disney, $1,312,219, 631 locations, $2,080 average, $476,725,279, 9 weeks. 15. "Anthropoid," Bleecker Street, $1,233,516, 452 locations, $2,729 average, $1,233,516, 1 week. 16. "Cafe Society," Lionsgate, $937,696, 455 locations, $2,061 average, $8,480,882, 5 weeks. 17. "Rustom," Independent Indian, $773,612, 133 locations, $5,817 average, $773,612, 1 week. 18. "Indignation," Roadside Attractions, $755,475, 267 locations, $2,829 average, $1,505,571, 3 weeks. 19. "Mohenjo Daro," UTV Communications, $747,791, 246 locations, $3,040 average, $747,791, 1 week. 20. "Hell Or High Water," Lionsgate, $621,329, 32 locations, $19,417 average, $621,329, 1 week.